The zombies have flooded the whole city. They do not offend anyone, but we do not need such a filth in our streets. Dead people must rest in peace in their graves, not walk around the world. 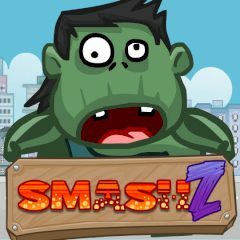 Help this hoistman named Bob destroy all zombies by dropping heavy items on their heads.